The Lil Divas have gone from "learning to read" to being bona fide readers over the past few years. It's wonderful to have them really reading fluently - a.k.a not sounding out every other word. This is HUGE! They are at the stage where they now delve into books and series that I have been itching to share with them but wanted to wait until they were ready to tackle them. I am beyond excited. The road to getting to this point was a bumpy one. It consisted of lots of books that made me want to pull my hair out if we had to read them one more time. It was fraught with books that made me cry inwardly as the Lil Divas stumbled on words because there were so many words that were too hard for a "just starting out" reader. Finally, there were way too many books that left me dissatisfied because their plots were non-existent or the book was just flat-out nonsensical. I can understand how hard it must be to write a GOOD easy reader let alone a GREAT one. I get that you have to keep it simple so that those budding readers can actually read the words in the book. Yet, in my opinion simple shouldn't equal subpar. Even if the words are basic the illustrations (at least) should be able to tell a larger story. This makes the book enjoyable and you can spend time talking about the plot and nurturing your child's comprehension while they work to conquer the basic phonics and sight word recognition that is necessary to read. I can not tell you how many books I read, left me scratching my head, wondering what they were even about? There's only so much of that you can take before you start to dread reading time. I want reading time to be something to look forward to. This is why I thought it would be beneficial to share some of the books that worked for us at home and that now grace my Kindergarten classroom library shelves for my students who are beginning their reading journey. These books are great confidence builders for beginning readers (simple text, repetition, the use of rhyming words and basic sight words means they can read them independently) but they also have endearing characters, illustrations that add to the plot and an actual story to tell - HOORAY! I hope that this list will be useful to you as you help your children or students on their reading journey. I am a firm believer that the right book (or an unforgettable character) can ignite a love for reading. Hopefully you will find a "just right" book for your child within this list. Please note this list does contain Amazon affiliate links. For your convenience, you can click the titles for more info. There are various books in this series. Biscuit is adorable and kids love following his adventures. These have short simple, repetitive sentences which are great confidence boosters. They are great for the brand new reader. 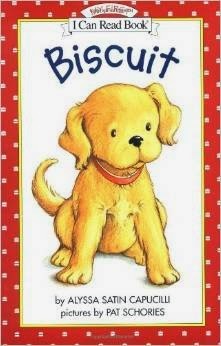 Similar to Biscuit (see above) there are various books with Mittens, an adorable cat, as the main character. 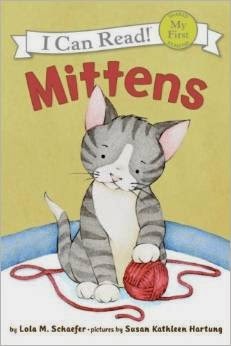 The books have the same short, simple, repetitive sentences which are great for beginning readers who will enjoy exploring the world along with Mittens. I adore Cynthia Rylant. Henry and Mudge are some of my favorite books for children just starting to read early chapter books. 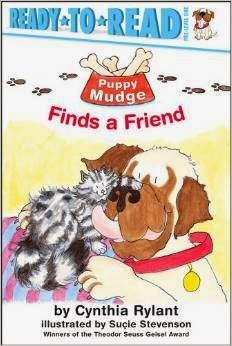 These early readers feature Mudge as a puppy and he is always getting into something. Short text and simple sentences make these books great for beginning readers. There are some fun books in this level of readers. Some of my favorite are the Noodles books (more below) and Hippo and Rabbit. They all follow the same format - utilizing simple text, sight words, repetition and short stories with visual clues in the illustrations. 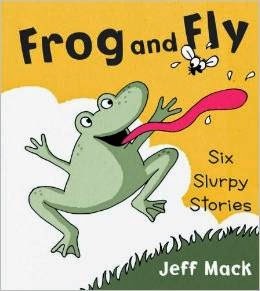 Frog and Fly (Jeff Mack) - Frog and Fly are hilarious! 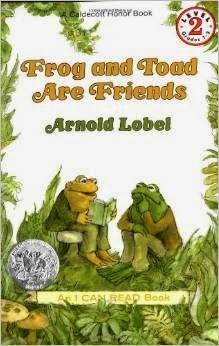 I mean who wouldn't love reading about a frog and a fly that happen to be best friends even though Frogs find flies delicious. The stories are simple and repetitive but kids will find them laugh out loud funny. They will want to read this book many times over so be prepared. I like that it includes 6 short stories - just right to get kids reading for a few minutes without being too long for the new reader who is struggling with words. 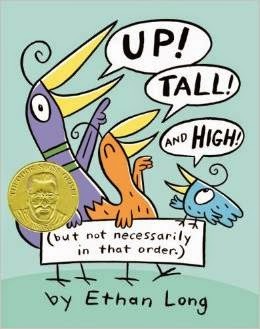 Up, Tall and High (Ethan Long) - There are 3 short and simply written stories in this book. The illustrations, flip-up pages and short but funny text will make this a hit with the just starting out reader who's not ready for longer stories. 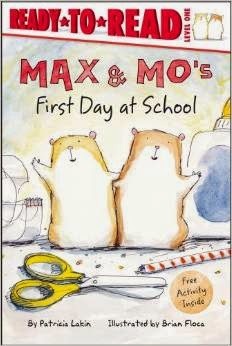 These books follow the adventures of 2 hamsters that are classroom pets. The stories are short and simple and great for the emerging reader. One of the things I like about these books is that each one has a project at the end that you can do at home. They are easy and fun story extensions that go along with the theme of the book. I love Kevin Henkes and Penny is such a delightful character. These books are broken up into short chapters and contain a bit more text. Great for those readers that are read to move on from the very simple books but not ready to make a big leap yet. 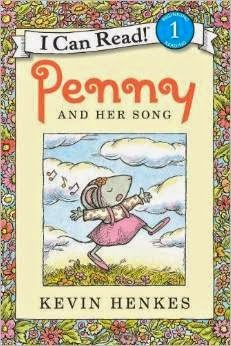 I love that these books contain positive messages and children will relate to what Penny goes through and how she is feeling. Easy-to-read, simple text and an adorable dog (Noodles) make these books a hit with beginning readers. The books are great for reinforcing basic sight words, sounding out simple words and reading short sentences. 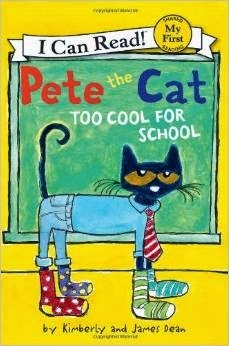 Kids love Pete the Cat and these Level 1 readers are so much fun for beginning readers. Some of these contain harder words but they are very repetitive and readers will catch on quickly. Elephant and Piggie were some of my daughters favorite books that she read all on her own (over & over again!). The sentences are 1 or 2 per page, making these very short and easy reads but the characters are endearing in their friendship and children will want to read these books many times over. 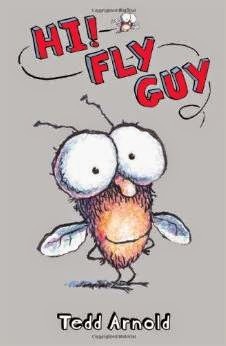 Kids can't help but fall in love with Fly Guy and Buzz. The relationship between a boy and his fly and all their adventures are sure to capture their attention. The stories are told in short chapters which are great for readers that are ready for more than easy readers but not ready to tackle chapter books. There are lots of Henry and Mudge books and it's with good reason. Kids love Henry and his 180lbs dog, Mudge. 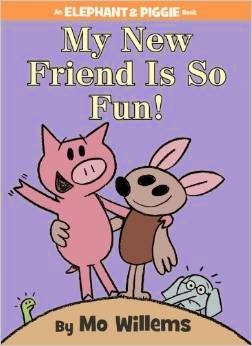 They are great books for beginning readers about true friendship and adventure. 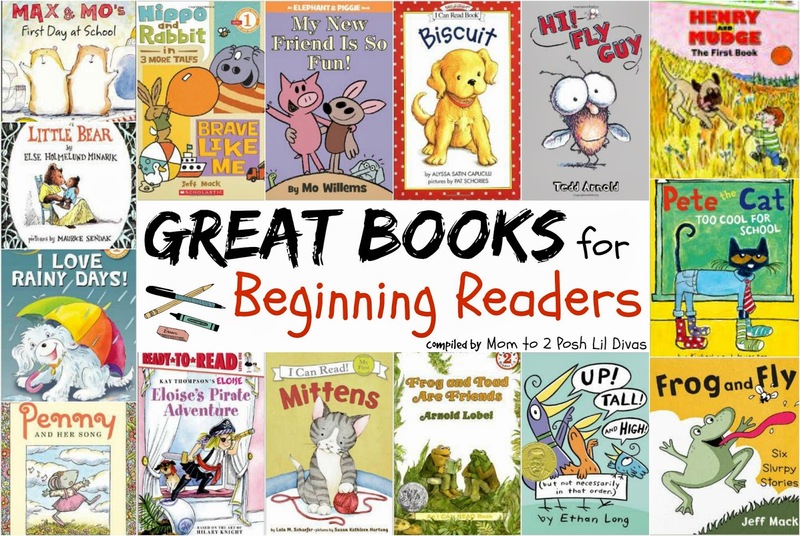 These are good for stronger beginning readers. There is a good mix of common words and some words that are a bit harder making the books not too easy or too hard. If you have read the original Eloise you will be happy to know that she is the same spirited and full of adventure 6yr old in these easy readers. This is a wonderful way for beginning readers to enjoy Eloise on their own as the classic is still beyond their reading level. 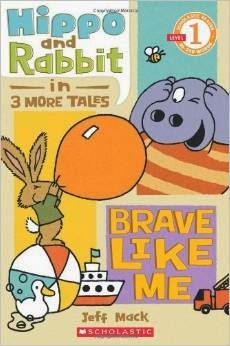 These books are a bit more challenging and right for children who are a bit stronger readers. I grew up reading these books and then shared them with my students and now my own girls. The friendship between Frog and Toad is timeless. 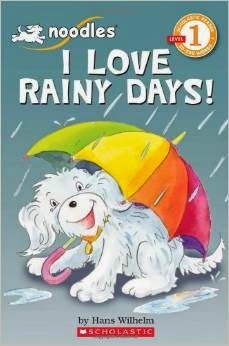 Another timeless classic to be shared with stronger beginning readers who can read longer texts and more sentences. 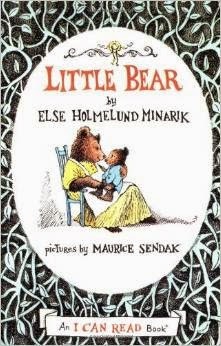 Children will enjoy Little Bear's adventures.Little Bear is as endearing as you remember him and still beloved by children. What do you think of the books on this list? What are your "must-read" books for beginning readers? Please share with me - I'd love to hear about your faves. I'm always excited to expand my book knowledge (and my book shelves, lol!). 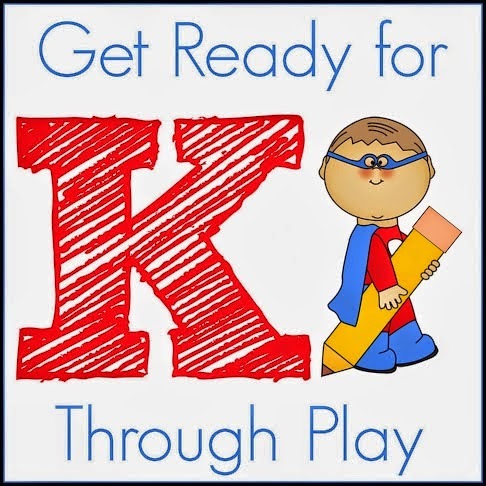 This post was written as part of my Get Ready for K thru Play series. I remember reading Frog & Toad when I was a kid. My children adore the Henry & Nudge books. Definitely a good list of excellent reads for beginners that you put together. Love your list! I have most of these and can't wait to shop for the others! I would add Books by Jan Thomas (hysterical!) and Fancy Nancy books. Ooh you have a few new to me books here that I think my kindergartner will love, along with several favorites of ours. Thanks for this list! Frog and Toad is a favorite here. We love many of the books you shared!